Good morning, it's the Monday after Class Day. I hope those who attended have recovered - you worked very hard in those three hours :) - & had a lovely weekend. 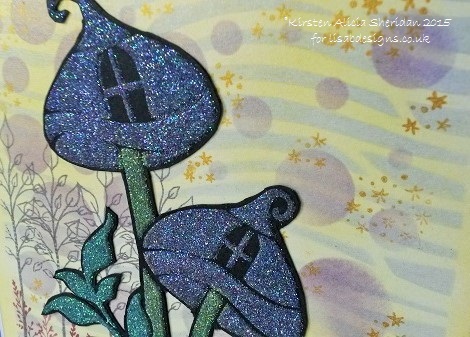 The class projects, which Lisa will show you on Wednesday, involved glitter so today, I'm showing you the cards I made using Sweet Poppy Stencils, Dimensional Pastes & lots of glitter. 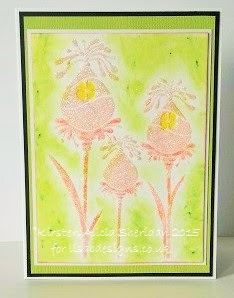 If you haven't used Sweet Poppy stencils before, treat yourself. 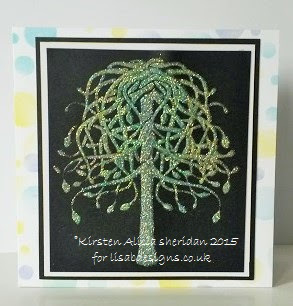 They are thin metal stencils, beautifully cut to give a perfect result every time & the designs are gorgeous. I strongly recommend you use a magnetic sheet underneath your card & plenty of masking tape on top to hold the stencil in place. The pastes; White, Black, Transparent & Pearlescent, are very good quality. 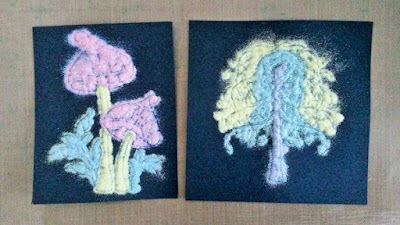 They're water-based so they will dry quite quickly, but you have approximately ten/fifteen minutes of working time before they begin to dry. They are quite a fluid paste & I have to admit that I struggled with them initially, because I am used to heavier bodied texture pastes, but after some practice I managed to achieve a good result. 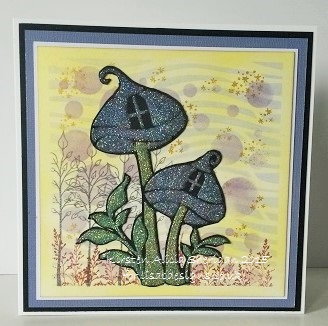 For the first two cards I used transparent paste through the Mushroom Dwelling & Wishing Tree stencils on black card & sprinkled on various colours of glitter - if you've got one of those embossing tools with a tiny scoop at one end, use that to sprinkle on the glitter. 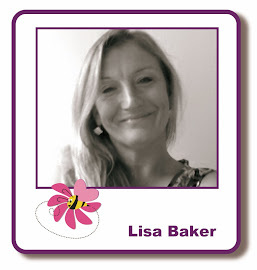 Alternatively, a plastic straw cut in half, making a sharp right angle makes a great tool for applying glitter - excellent tip from Lisa. 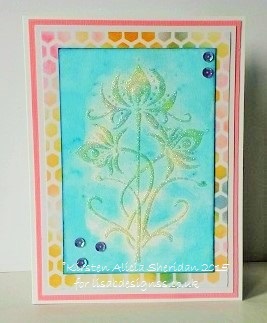 Detail stamp from the Hobby Art Decorative Backgrounds set, stamped with gold ink. That's all from me for now. The new blog challenge began yesterday. 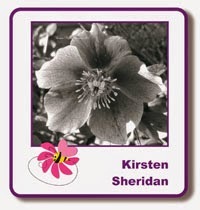 It is, of course, all about Sweet Poppy stencils & pastes & we hope lots of you will enter a project, or even two. 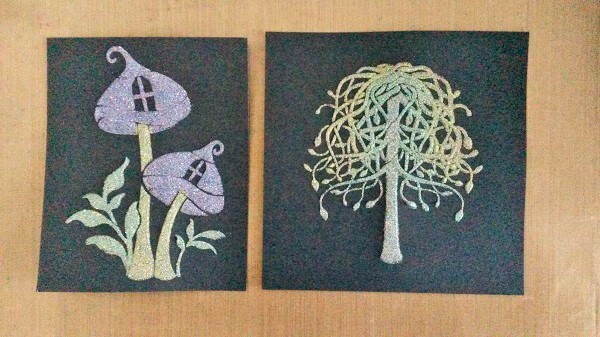 Beautiful cards...what more can I say..well only that I wish I lived nearer to come to a class!...they sound such fun and the creations marvellous.